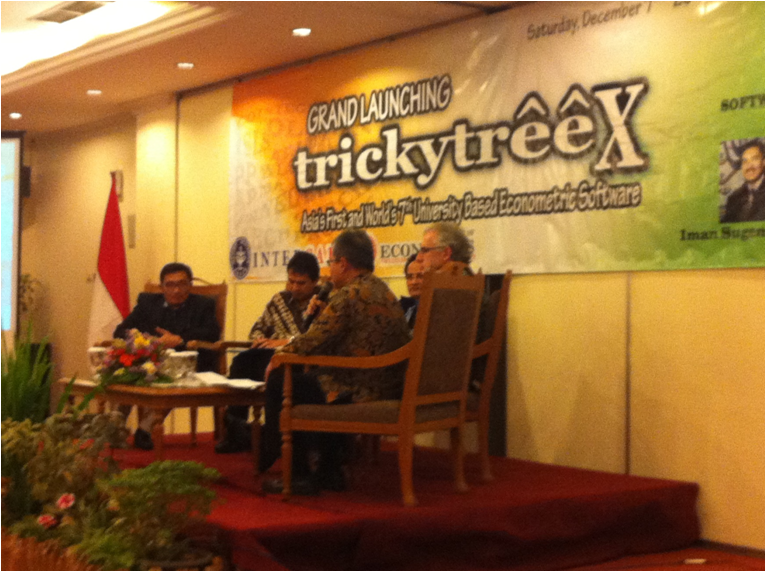 Grand Launching “TrickytreeX” on 7 December 2013 in Pangrango Hotel, Bogor. This is the First Econometric Software in Asia developed by Dr. Iman Sugema and Benny Kapri. Dr. Iman Sugema is a senior lecturer at Department of Economics Bogor Agricultural University and a senior researcher atInterCafe. The launching was attended by researchers and lecturers from a various institutions and universities in Indonesia.